If you are just finishing up your LLB or hunting down that much-desired training contract, you perhaps already have a good idea about how there are multitudinous options available after your graduation. Securing an LLM degree from a prestigious university will help you polish your skills and be a part of the leading law firms. LLMs are available in a variety of specialisations, including International Law, Energy Law, and so forth. The cue is to spot your interest area. LLM in International Law provides the opportunity to become the highly specialised in a short span of time. Let’s learn more about this specialisation and what skills it nurtures in its aspirants to help them achieve their desired goal. International Law is usually divided into two branches: jus gentium – the customary laws articulating the standards of international conduct; and jus inter gentes – the international agreements and treaties. But, not anymore. Notwithstanding the fact that these skills are still of utmost importance, lawyers today need to have more and updated skills while pursuing a career in international law. As far as the law is concerned, this skill will be your prime weapon. There will be lots of information to process and sought after to distil the key points. If you lag behind in reading at a glance, you might fall slowly in the legal proceedings. Pursuing LLM degree will improve your ability to do this immensely; you will have plenty of reading to do in a short time. For added practice, you can take a long news article and create a five-bullet summary, or you can take a complicated piece of news and make it simple to understand, etc. These tips do work. When you work as an international law barrister, you ought to be able to get the right information from your client, which is imperative and challenging when they don’t know what information is relevant. For instance, the information like, what might cause problems in the coming hearing, or what needs to be disclosed to the supervisory body even if the client thinks it inconsequential? LLM programme makes you ready for such situations. Therefore, once you know what to ask, you can quote the questions accordingly, and there is no room for confusion. The above skill is optimistically self-explanatory. Lawyers might not articulate as they do in films, but it is surely an art to put across your point clearly and in an interesting way, and without being nervous. 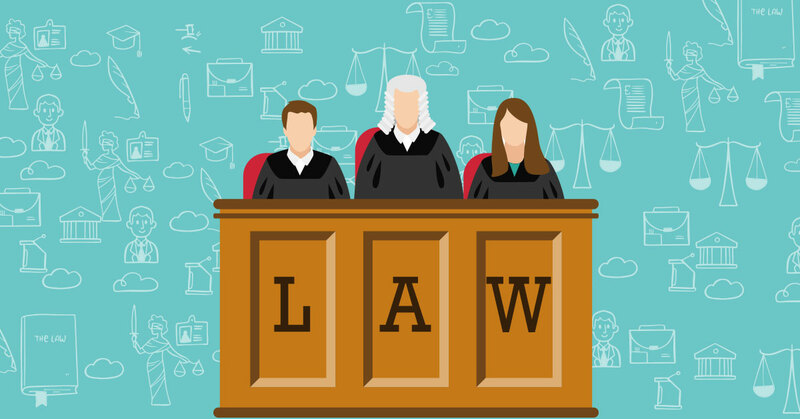 When you enroll in a law degree, the practice sessions and courtroom classes help you grasp this skill. Voice-modulation, putting stress on some particular words and pointing out impressions, everything comes handy. For mastering this skill, you can also join debate teams, create mini-presentations, read along news readers, etc. After all, practice makes perfect. As a lawyer, you are required to be vigilant. To score the winning ball of success, you have to be aware of your client’s details as well as you need to keep a watch on your opponent’s moves. While studying for LLM course, students are given different case studies and situations to work on. This practice prepares them for any possibilities and counters the same. When a client reaches for help, a lawyer should be both, emotionally and practically dedicated to hear him/her out. Lack of emotional attentiveness may lead to missing out on important details of the case. Outlying, distant lawyers are remnants of the 20th century – the market no longer wants a lawyer who is only half a person. Clients need to be shown compassion and personal viewpoint to feel whole and satisfied, colleagues need engagement and understanding to be their best and help you succeed. If you are still on the idea that being emotionally detached will help you become a successful lawyer, then its time to break that ideology. The field of opportunities will be all yours if you are ready to imbibe the necessary requisites in yourself. Law schools can only teach you, the rest of the work still lies at your end. The skills are not optional, there are no excused absences, and the test is starting right about now. Buck up, if you want to make a living in the 21st century.